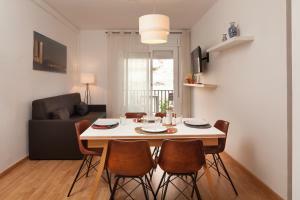 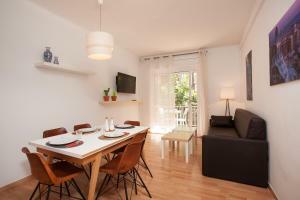 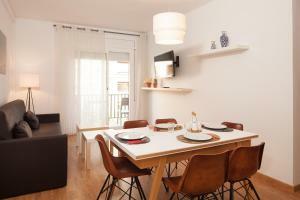 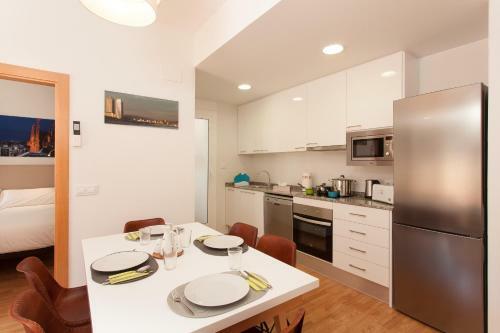 Casa Vilà offers bright and spacious apartments located in a same building within 5 minutes’ walk of the Sagrada Familia. 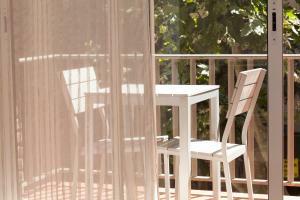 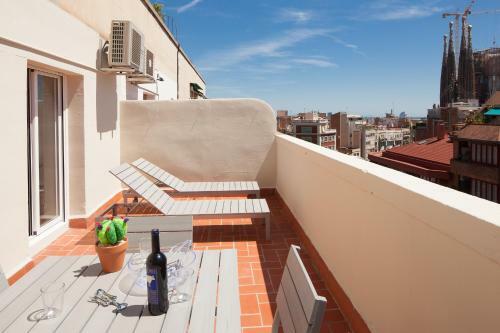 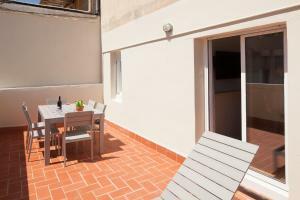 Some apartments have a large furnished terrace with views over Gaudi’s cathedral. 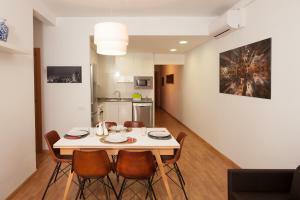 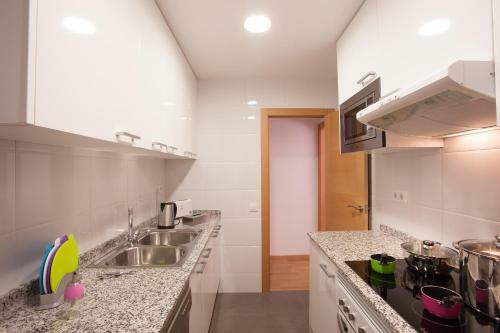 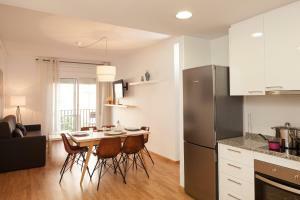 Each apartment at Vilá comes with a modern kitchen including a dishwasher, ceramic hobs and kitchenware. 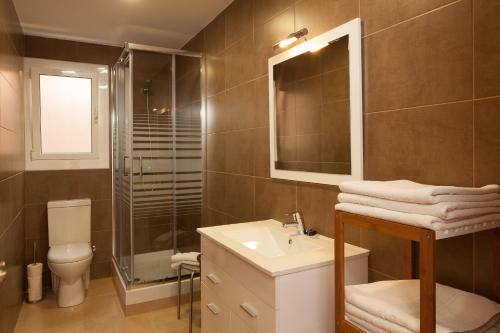 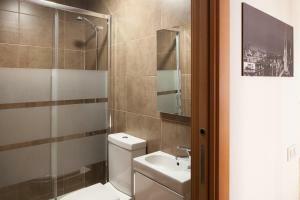 Some apartments have more than 1 bathroom and bed linen and towels are provided. 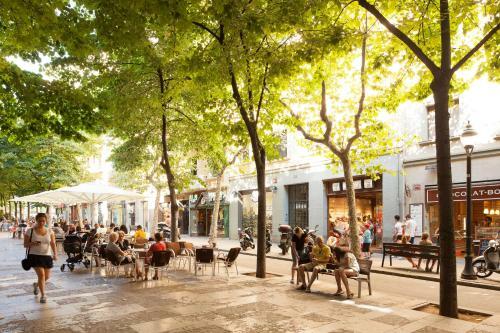 Numerous bars, restaurants and shops open till late can be found within 2 minutes’ walk. 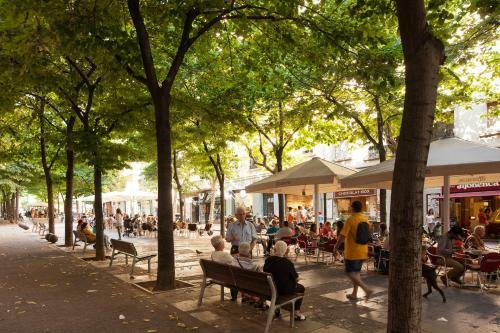 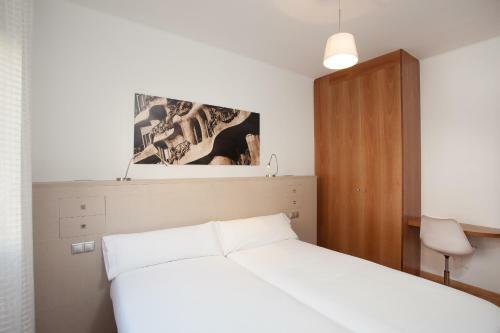 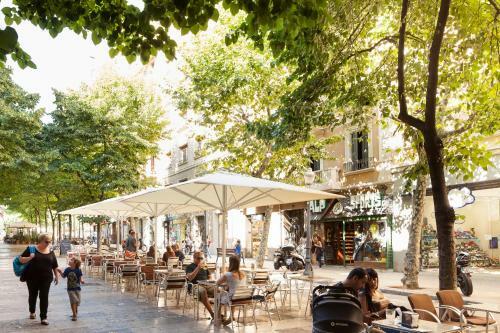 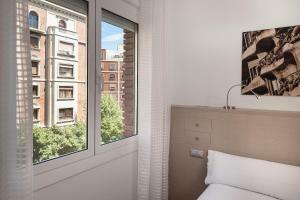 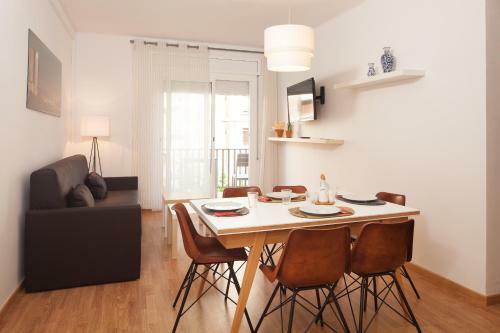 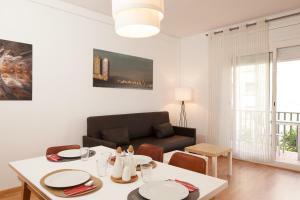 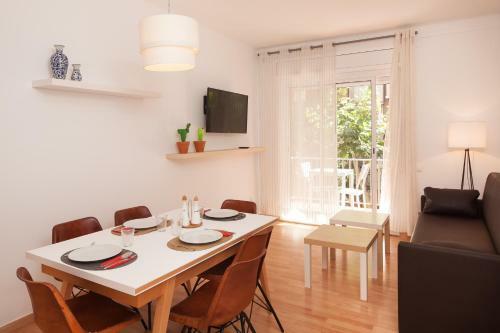 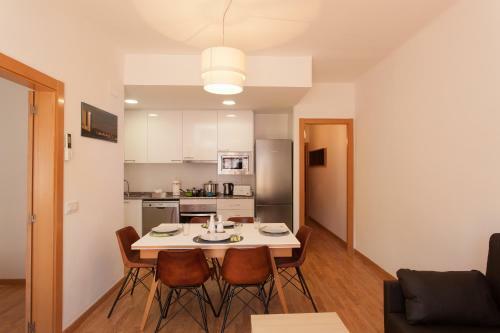 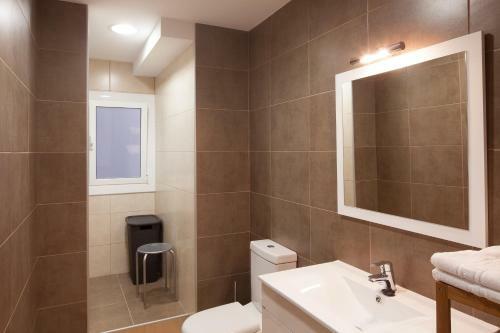 The apartments are well connected by public transport; a 10-minute metro ride will take you to Passeig de Gracia and popular Ramblas. 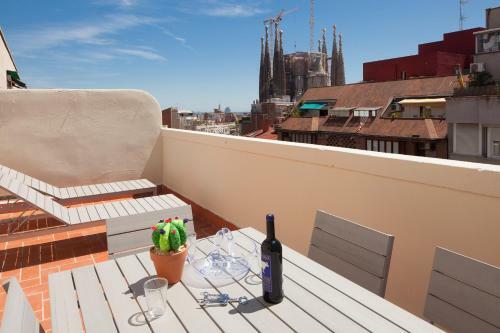 The closest metro station is Sagrada Familia, 350 meters away. 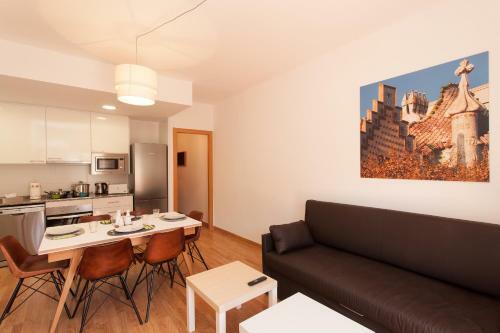 This air-conditioned apartment offers 2 bedrooms with 2 single beds each, and a bathroom with shower, free toiletries and hairdryer. 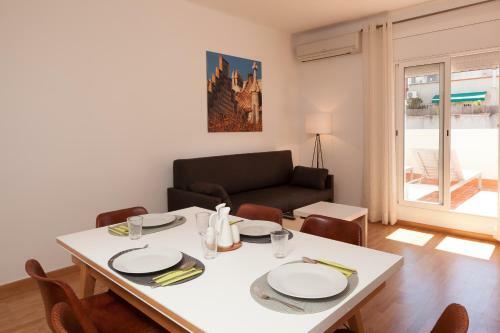 The living-dining area comes with a sofa, a flat-screen satellite TV and opens onto a furnished terrace with far-reaching views over the Sagrada Familia. 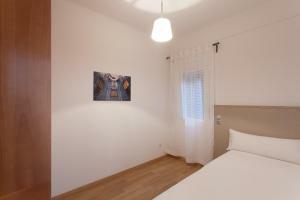 This spacious apartment offers 3 bedrooms with 2 single beds each, and a sofa bed in the living room. 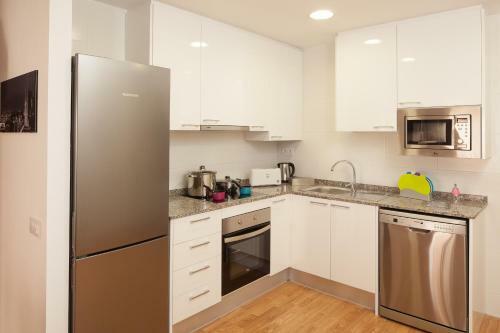 The modern kitchen is equipped with a dishwasher, ceramic hobs, and kitchenware; while the 2 bathrooms include free toiletries and hairdryer. 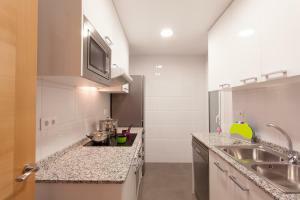 Cleaning products are provided. This apartment has a furnished balcony with city views. 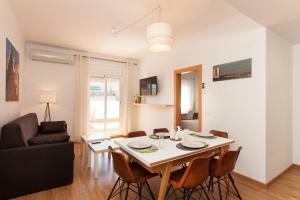 Rate: € 189.00 ... € 260.00; select dates below to get current rates. 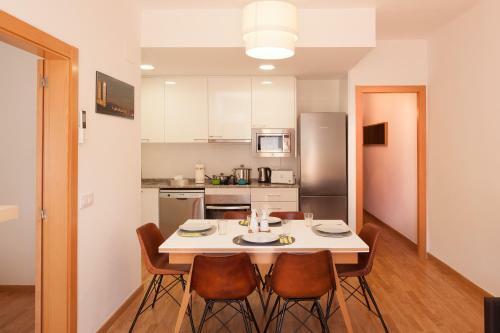 This air-conditioned apartment offers 3 bedrooms with 2 single beds each, and a bathroom with shower, free toiletries and hairdryer. 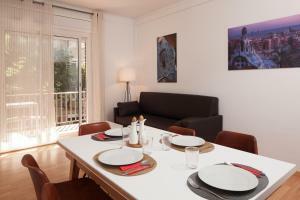 The living-dining area comes with a sofa, a flat-screen satellite TV and opens onto a furnished balcony with views. The modern kitchen includes a dishwasher, ceramic hobs and kitchenware. 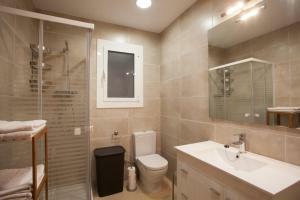 Cleaning products are provided.